Verdejo grape is the variety that symbolizes white, light and fruity wine that it goes very well with seafood. 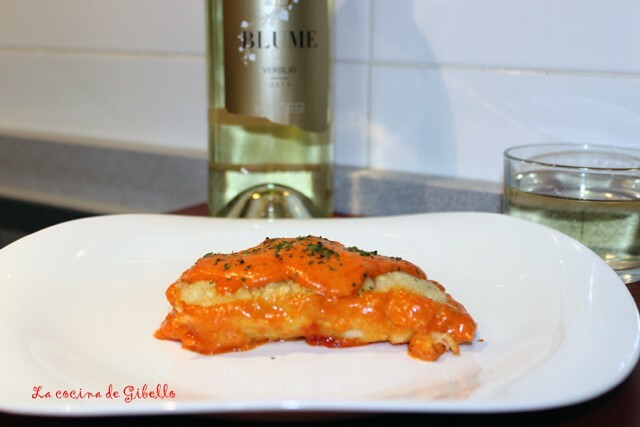 From the blog La Cocina de Gibello, the author David Gibello recommends us this recipe that combines a tasty fish, such as the cod, with the freshness of white wine (in this case Blume Verdejo). First of all, we dip the cod fillet in butter with flour. Then, we pour a splash of olive oil in a pan and warm up it. Later we overgild the fish for 3 minutes per side and took them out of the pan and reserve. In the same oil we have prepared the cod fillet, we take the chopped onion with a mince of salt and fry. Next add the red peppers and fry lightly with some white wine. Let reduce the gravy and then we add the cream. Beat the gravy with mixer. Then we pour the sauce in the pan, and place it over the fish. We leave it over medium heat for 5 minutes. We will have a rich and easy cod fillet to make ready to enjoy with Blume Verdejo.